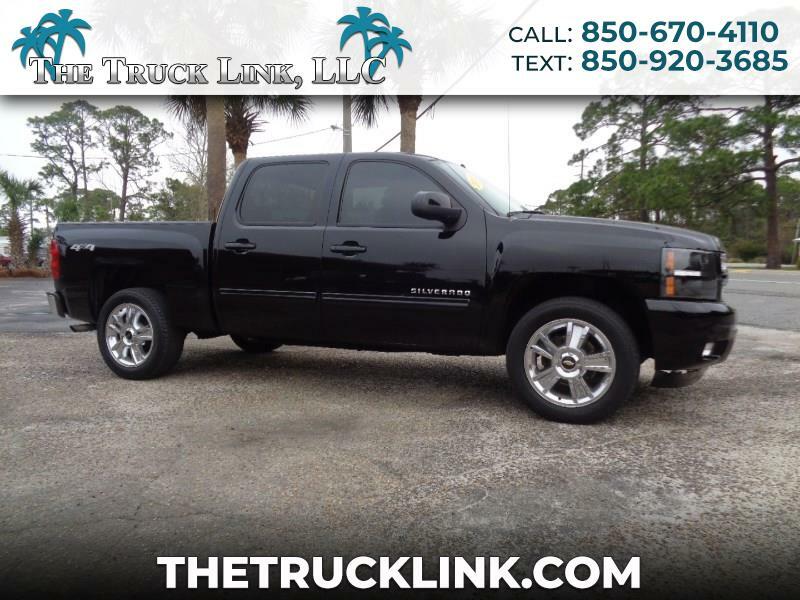 ONE OWNER 2013 SILVERADO LTZ 4X4 IN GREAT CONDITION. LEVELING KIT. ALL LEATHER INTERIOR WITH MEMORY SEATS. SUNROOF, TINTED WINDOWS, SEPARATE DRIVER/PASSENGER CLIMATE CONTROL, AND HEATED SEATS. ONSTAR, CD, HANDSFREE, AND XM SATELLITE (REQUIRES SUBSCRIPTION). NEW TIRES ON ORDER. CLEAN CARFAX, FREE 60 DAY WARRANTY. FINANCING AVAILABLE (W-A-C) THROUGH OUR FRIENDLY, RELIABLE NEIGHBORHOOD LENDERS.